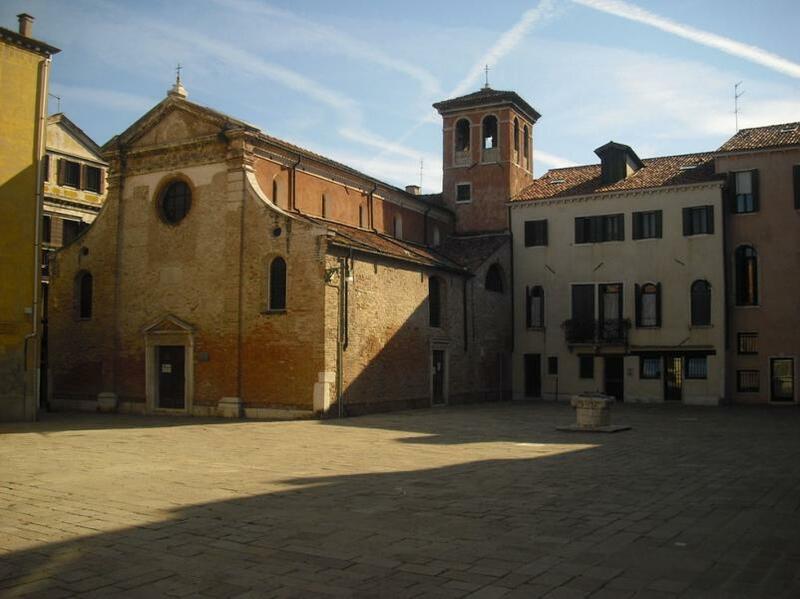 Officially San Giovanni Battista Decollato, but universally called San Zan, this church was built by the patrician Venier family in 1007 to celebrate a victory over the hated Genoese. It had a brief moment of fame when the Venetians again defeated the Genoese in the Battle of Negroponte, off the coast of Evia on 29 August (the feast day of John the Baptist's beheading) 1358. The Doge vowed he would visit the church every year on that day to celebrate the victory, but the church was too small and it was too much of a bother, and he soon stopped coming. The church was restored a couple of times over the past thousand years. Although the façade and tower date from the 1700s, San Zan's most recent restoration in the 1990s removed later incrustations to restore the interior's 11th-century appearance—fourteen Greek marble columns with Byzantine capitals and a ship's keel ceiling. The works also revealed some long obscured frescoes: in the left apse, colourful Veneto-Byzantine frescoes of saints John, Peter, Thomas and Mark under St Helen holding a cross, and to the right an unusual 14th-century St Michael, wearing a scowling face on his armour and slaying a dragon that resembles a small dinosaur. San Zan is currently used for services by the city's Russian Orthodox community, which has added an iconostasis. Some say the relief of St John's head on a platter, embedded in the church wall facing the Campo San Zan, represents the infamous Biasio Cargnio, the Sweeney Todd of Venice (see San Simone Profeta). Passing Venetians used to smear it with mud when they walked by.